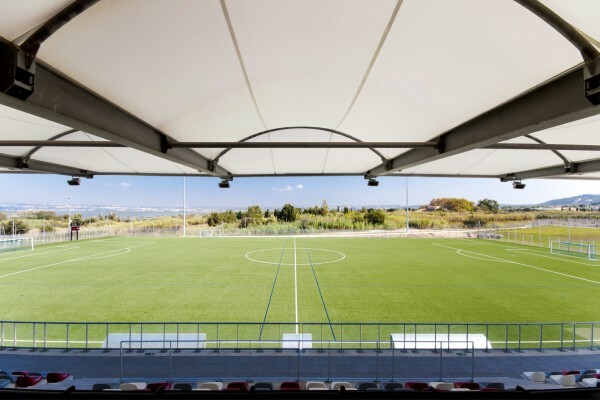 The configuration and dimensions of SMC2 stands can be adapted to your requirements (sports played, number of covered seats, storage, etc.). 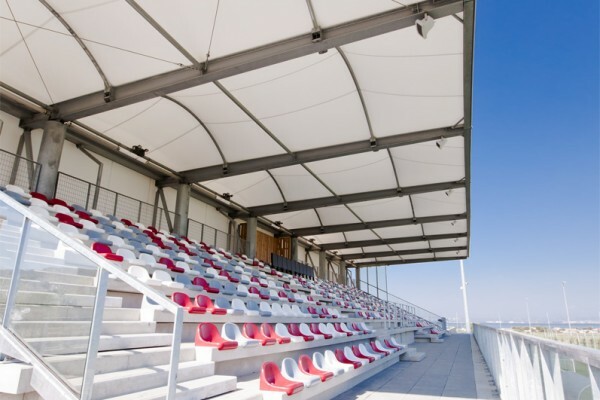 A fabric membrane cover on a wood and/or steel framework offers lasting protection and excellent lighting for a steel or concrete stand.The translucent membrane means the stand remains light and pleasant to use. Furthermore, the fabric cover offers true comfort: shade in summer, protection from wind and rain in winter. Finally, the fabric cover, being flexible, offers acoustic properties limiting echo, thus improving the overall atmosphere in the stand.